buffalosabresnow: Day-2 of 2018 NHL Draft was a quirky one for the Buffalo Sabres. Day-2 of 2018 NHL Draft was a quirky one for the Buffalo Sabres. After the Buffalo Sabres added four more defensemen to the stable in the second day of the 2018 NHL Draft, the post-draft from the media scrum was not so much on the players picked as it was on how they got there. Swedish defenseman Rasmus Dahlin was selected first overall, as expected, but as we headed into Day-2 of the draft no one was sure where the Sabres would go. The first round had finished up with a group of players having first-round ratings falling to the second round and Buffalo ended up selecting one of them in Mattias Samuelsson, son of former NHL'er Kjell Samuelsson. 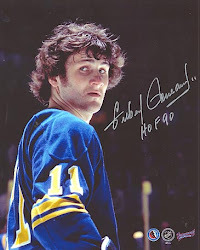 Samuelsson was a familiar name at the draft and as the Sabres moved down the rounds the names became more obscure eventually, even for draftniks. Buffalo was without a third round pick and with the first pick in the fourth round they selected USHL Rookie of the Year, center Matej Pekar, who would be the only forward taken by the Sabres in the draft this year. Buffalo used their second fourth-rounder (from Minnesota) to select LHD, Linus Lindstrand Cronholm who's name, like last year's pick of Ukko-Pekka Luukkonen (UPL) is being shortened with the acronym (LLC.) In the fifth round Buffalo stayed in Scandinavia to select Finnish RHD Miska Kukkonen and they ended their day with seventh round pick, LHD William Worge Kreu, their third Swede of the draft. There's a lot to digest with Buffalo's selections which includes why GM Jason Botterill traded away the first pick in the sixth round this year to Toronto for their sixth-rounder in 2019. It was a move that left many scratching their head and added another area of intrigue in a Buffalo draft that was anything but conventional, especially when you consider that Botterill, a native of Canada, didn't select a player from the CHL for the second year in a row. In trying to figure out what transpired yesterday, a good place to start would be with the team Botterill put together and how he allows them to do what they were hired to do. Last year the first time GM had to wing it with a staff from the previous regime as a May hire didn't allow any time to build his own. Botterill brought in Randy Sexton last season as assistant general manager and point-man for an amateur scouting staff directed by Ryan Jankowski. At the conclusion of the draft Botterill told the gathered media, "there was an awkwardness last year," he said explaining that he was trying to get a feel for the people he had plus the uneasiness of the unknown with a new GM in charge. Botterill brought in Sexton, someone he'd worked with for seven years in Pittsburgh and Jankowski who, ironically in terms of this draft, was head scout then director of player personnel for Hockey Canada. This year with his guys in place, he let them do their thing. "[As GM] you're part of amateur scouting, I follow it throughout the year, but it is a situation where you have to trust those people in those roles," he said. "If you dabble in it a little bit you almost mess it up a lot of times." As point-man, Sexton took center stage at the post-draft media scrum and after being asked lightheartedly, "How's your Swedish," delved into some of the Sabres philosophy when it come to the draft. "We don't draft by region. We don't draft by country," he said. "We scour the world for the best players that we can find that play a style that we want to play like going forward and then we work very diligently to learn as much as we can about them as human beings so that they map to our character criteria. We put them in the order that makes most sense based upon the highest probability to become a Sabre and we layer over a little bit of list management so that we can manage our list in a way that gets us the highest number of prospects at the highest part of the list we can get. "This year it happened to fall that there were a lot of Swedes." Dahlin was the first of six Swedes taken by NHL teams in the first round and there were 28 taken overall which equaled record highs set in 2009 and 2014. In those two years, defenseman Victor Hedman (TBL,) who just won the Norris Trophy and LW, Gabriel Landeskog (COL,) respectively, were taken with the second-overall pick. Dahlin was taken first overall following Mats Sundin (1989, TOR) as the only two Swedes to be selected with the top pick in the draft. In all, NHL teams took 247 Swedes during the last 10 drafts with the nation of just over 10 million people (as of 2018 census) pumping out the most players, by far, of any other European country. For Botterill it's not a surprise. "You look around at the success they've had at the international game, and in the NHL," he said. "So many Swedish defensemen have stepped in and played extremely well. They've done an outstanding job as a country from the development process, especially on the back end [with] the mobility [and] how a lot of NHL teams are now. Swedish players played [that style] growing up." "We have the SHL and we put the young guys in the senior hockey league pretty quickly," said the 18 yr. old Dahlin, who's been competing against men for nearly two full seasons. "You learn to play against men. That's probably one of the things that helped me so much. I needed to compete every single shift in all situations out there because I was not the strong guy everyone else was, so it helped me out a lot." Dahlin was the top pick and there were 18 other Swedes selected before the draft reached the top of the fourth round and Buffalo at pick No. 94. The Sabres selected Pekar, a USHL product who will be attending Miami (OH) University, before heading back to Scandinavia for their final three selections. With Samuelsson also heading to college (Western Michigan University) and the three picks from overseas, for the second year in a row the Sabres, even with Jankowski on board, did not select a player from Canadian Junior. Strange? Maybe. Until we get to the reasoning behind it. 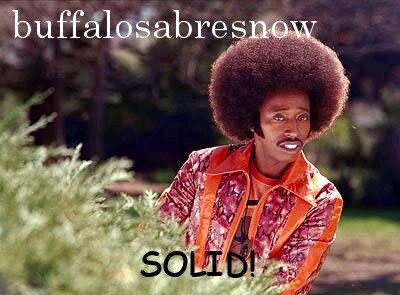 As laid out, the Sabres had their list. Samuelsson for them was the definitive pick at No. 32 and it's hard to argue with the fourth round selection of Pekar, who was named the 2017-18 USHL Rookie of the Year with 54 points (14+40) in 56 games. After that it almost looked as if the CHL was shunned by Buffalo. But that wasn't the case. When asked if it was a coincidence or whether or not it's something they shy away from, Botterill stated that when it comes to mid-latter round picks, "the fact that you control [CHL] rights for only two years, you have to make a quicker decision on that. "In a scenario where you have an extended period of four years, in most situations for Europeans or college players," he continued, "it allows you more opportunity to develop." Sexton said simply that, having worked with Botterill seven years, "there was never a strong desire either way to select CHL players or not select them. "It's just the luck of the draw." A case in point for the extended development period can be seen in 2014 seventh round pick (181st,) Victor Olofsson. The smaller 5'11" 172 lb. winger took three years to find his game amongst pros before breaking out last season and winning the Borje Salming Trophy for most goals (27) in the league. The Sabres signed him to his entry-level deal in April. Center Sean Malone is another example. The West Seneca, NY native was taken in the sixth round (159th) of the 2013 draft and spent four seasons at Harvard. He signed with the club last year, had a real strong rookie campaign in Rochester to the point where he is being looked at as a possibility for Buffalo's opening night roster this coming season. Most in the hockey world will say that the training and coaching players receive from the time they're young until their draft eligible and beyond puts many on a fairly equal footing, pure talent not withstanding. Drive and desire are huge aspects for the Sabres (in addition to talent) as is the overall makeup of prospects as human beings. Buffalo's Swedish scout Jan-Axel Alavaara has been with the club for two years (although he'll be moving on to take a position with Germany's Alder-Mannaheim.) In an interview with an overseas website concerning Dahlin, Alavaara delved into his work as a scout. " We have met and discussed 120 players. That's how scouting goes," he said using Google translate. "Everyone has different opinions and you will come up with who you want to bet [on]. Rasmus is a high profile guy, but there are some out there in the world who are great hockey players." "We assess the entire package," continued Alavaara. "You talk to parents, with friends, with coaches, with everyone. As hockey looks like today, you really do not have any weaknesses at all as players. You have to keep an eye on everything around." That would include a player like Samuelsson, the son of a NHL player, who was graded in the mid-lower first round of the draft but was still there at No. 32 to start Day-2. According to Sexton, the Sabres had "lots of calls about trading that pick" but decided to go with the big (6'4" 218 lb.) left-handed defenseman from the USHL. "He was a player that we clearly had a high desired to have in Buffalo," said Sexton of Samuelsson, "and as a result there was no interest in trading away that opportunity." "It's very difficult to play in our league," he continued, "and I've always believed that player who grew up in a hockey family, who's had a family member that has played and has gone through the difficult path it takes to get [to] and stay in the NHL, has a competitive advantage over some of the other players. "In Mattias' case, he does have a clear understanding. In getting to know him through the interview process, we were struck by his maturity, we were struck by his strength of character, we were struck by his leadership and we were clearly struck by his true understanding of what it takes, and the commitment it takes to not only get to the NHL-level, but to stay and excel at he NHL-level." And they'll have four years to determine if/how he fits into their plans. This is year-two of the Botterill regime in Buffalo and it's his first draft with his scouting department in place. The 2018 NHL Draft for Buffalo will go down as a somewhat quirky one, especially with the rarely, if ever, seen trading of a top pick in the sixth round for a blind sixth-rounder the following year. To set the record straight on that, Botterill said that the team felt as if the player(s) they wanted at that spot would still be there at the top of the seventh round and therefore opted to land another pick in next year's draft. Sabres development camp starts this coming week so most, if not all the players selected by Buffalo will be in attendance. Perhaps there will be more questions surrounding this quirky draft and how they came to find and select LLC, Kukkonen and Worge Kreu. The Sabres went heavy with defensemen yet still have glaring holes in the pipeline in goal and on the wings which should be addressed, at least somewhat, during free agency. Buffalo selected four defensemen, also signd defenseman Lawrence Pilut out of the SHL and traded for soon to be UFA Brandon Hickey, who just completed his fourth and final season at Boston University and was a team mate of Jack Eichel's for a year. One could assume that the prospect pool on defense is well stocked right now but we still might be left to wonder what would happen next year if the highest rated players on their board at the time of their selection happened to be defensemen?